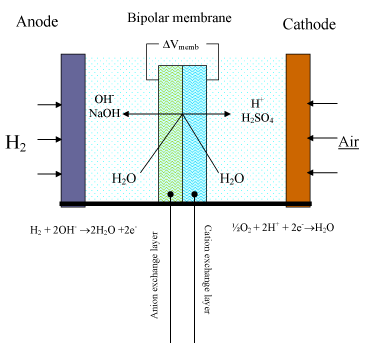 Figure 1. is a schematic of the operation of a rechargeable battery embodiment of the present invention, with dual electrolyte and a bipolar membrane having a metal hydride anode and a lead dioxide cathode, where FIG. 5A illustrates discharging of the battery and FIG. 5B illustrates charging of the battery.